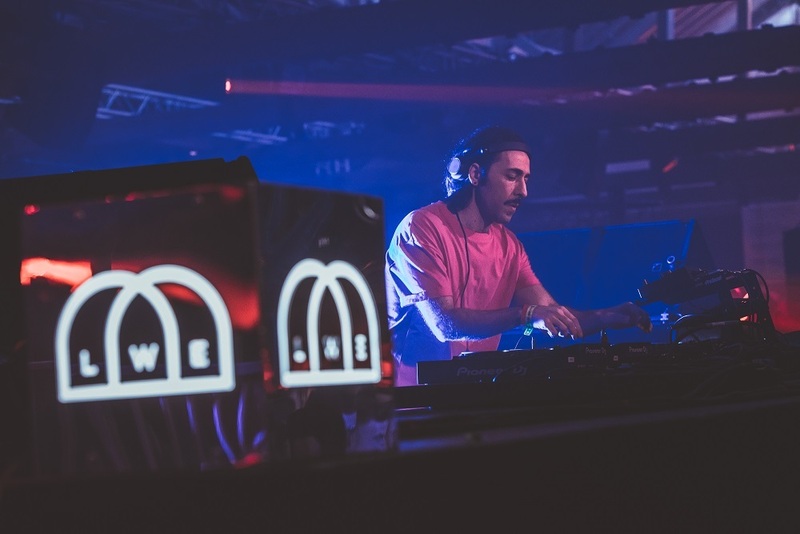 Hot Since 82 took his Labyrinth party to London on Saturday, March 31st for three rooms of music at Tobacco Dock. Joined by Erick Morillo, Matador, Dubfire, Guti & Martin Buttrich, Butch and more, Mike Barnard and Ann McManus were there. We’d take a break for a trip to the maze where we’d be caught off-guard by a girl in the middle sitting and staring into the distance, as well as bumping into the maze master for a bar-based treat. 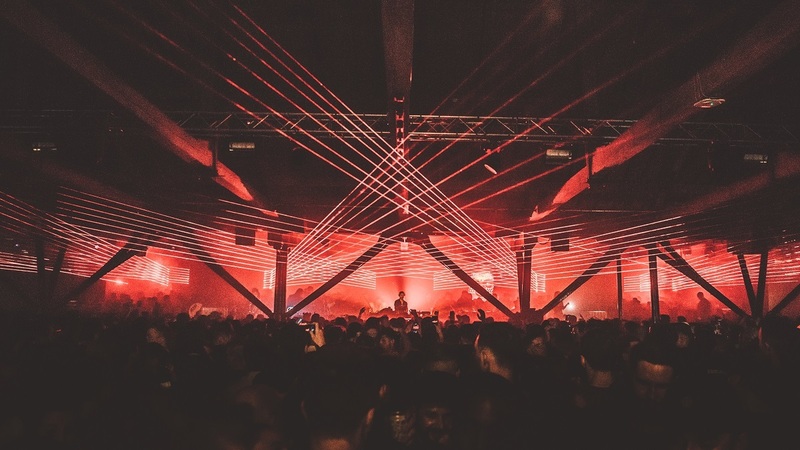 He Said: “The cavernous Tobacco Dock was an ideal setting for Hot Since 82’s Labyrinth by way of set up alone. 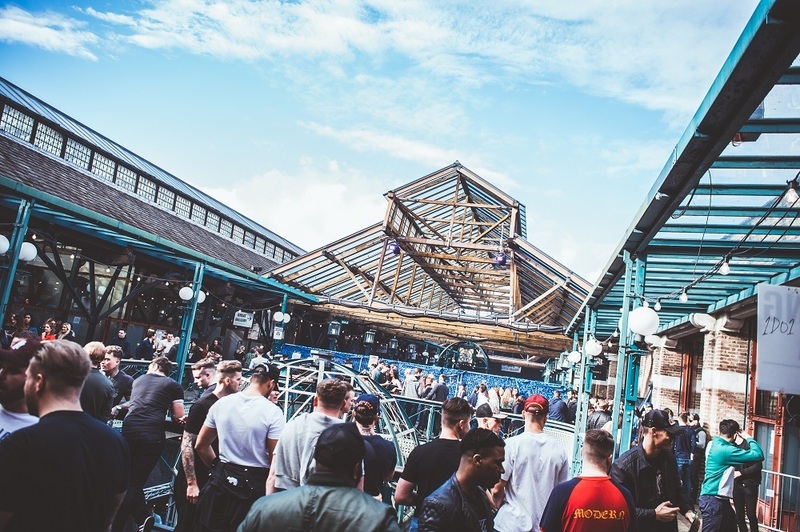 Its long, two-storey atrium branches off to dancefloors, bars, and chill out areas with glitter stalls littered around for those wanting some Easter Bank Holiday sparkle. Added to this, there was even a maze to explore offering a prize for those who found the maze master at its centre - though its design was geared more towards providing a quick dancefloor distraction than getting yourself lost. “Our first foray onto a dancefloor was to see Butch in the Great Gallary getting a late afternoon set underway with some vibrant drumming before the 4/4 kicked in. 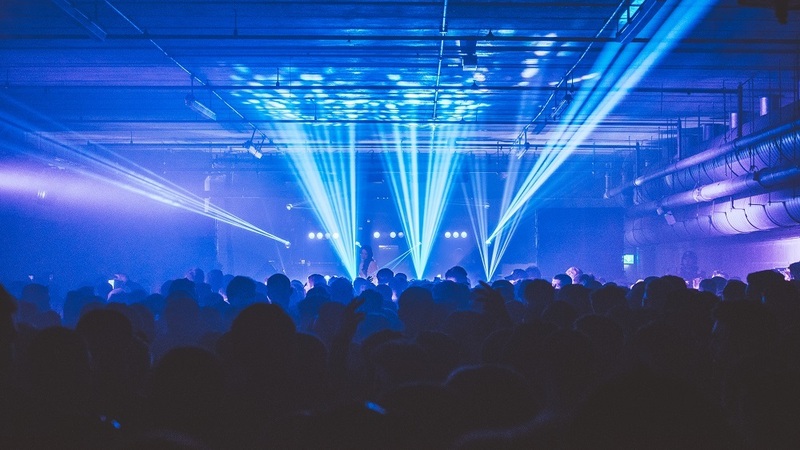 Light was bleeding in through the skylights making for a surreal experience - the vibe was more late night club than Saturday at 4.30pm, but we went with it as Butch had such a broad smile on his face and the atmosphere was boisterous. “After getting our dance on to warm up, we’d head down to the underground car park for Matador’s live set. Making our way to the front, we managed to catch a final disco tune from Lauren Lo Sung as she bopped away behind the decks, then Matador opted take over with a spacey techno set. Lush layers gave way to solid beats for a set that saw us nicely up to Guti and Martin Buttrich back-to-back in the Little Gallary. 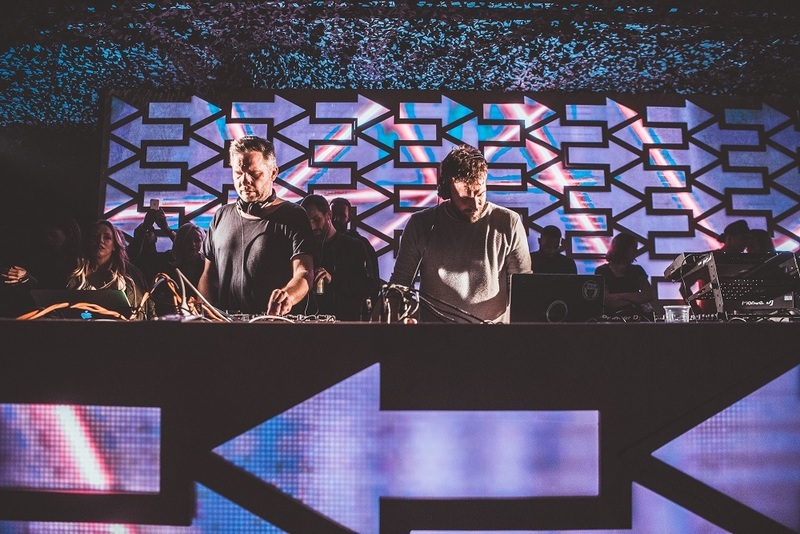 “The Little Gallary has been given a new lease of life since its reconfiguration into a long room with low ceiling and a powerful soundsystem, for which Guti and Buttrich seemed to find a sweetspot. The room was packed out from the start to finish of their set, everyone bouncing around with house vibes. We’d take a break for a trip to the maze where we’d be caught off-guard by a girl in the middle sitting and staring into the distance, as well as bumping into the maze master for a bar-based treat, though it didn’t take long to navigate out the other side. We made a crew of dancing buddies and all danced our hearts out to Santé - ‘Ghostwriter’. 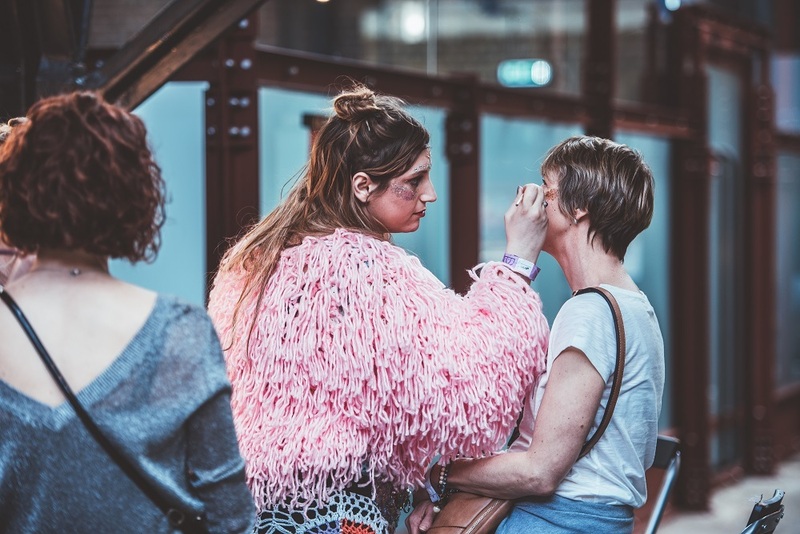 She Said: “Fun activity cameos have recently served Tobacco Dock electronic music events well, with the ice rink making for an unusual addition for the NYD event (although I for sure would not have fancied combining clubbing and ice skating - did anyone actually do this?!). Labyrinth promised more excitement in the form of a maze for ravers to unleash excess energy with a quick run around. “After a meander around to pick up the gang, we went for a team expedition into the maze. Greeted by an enthusiastic and charming gentleman in a top hat and blue velvet gown, we anticipated a well embellished installment. Instead we were met with plywood walls, in dimly red light and cryptic messages printed out on A4 paper and randomly stuck on the wall. We encountered another actor crouched on the floor in one room, and expected that she would spring into action, giving us a riddle, roaring at us or doing a dance. But she just crouched and said nothing as we scampered on through each of the doors. It was a real let down, but it had kept us occupied for 10 minutes and the evening could only get better. “Off to our favourite spot at the front of the car park, we caught the last of Eats Everything who the crowd were lapping up. We were then treated to a fantastic DJ duo filling in the time before Dubfire took to the decks. They were playing jungle infused house (jouse?!) which suddenly struck a darker tone. Looking to the crowd for validation as they descended into a deeper sound, the crowd barely reacted, but, looking around, they seemed very intent and soon the fist pumps of music love took off. “Dubfire finally arrived with a changing of the lights from red to blue. Their sound was clear and cleansing - a little like that relaxing music played to you when you go for a massage or visit a spa, albeit with a distant beat that teasingly came closer and closer until the sound erupted into a thudding deep house extravaganza of sound. She Said by Ann McManus. Images by Chris Cooper.